Neil Aggett : Restorative justice – at last ! Very few people in each generation rise up and help shape the course of their own wider community’s future – positively – let alone their nation and beyond. Very few of these special people ever then surrender their lives, tragically, to a brutal and injust system of government that is condemned globally, against benchmarks for civil liberty, equal opportunity and social justice rights for all. Neil Aggett is one of that rare breed. Those of us who were close to him during our young, formative years will tell you that Neil was destined for much greater things. Quietly and consistently, as a born leader. He had all the inherent qualities to which many of us aspire in life. Guided by strong principles and ethics, he understood justice, and would have made an outstanding jurist. Inspired by the fact that he considered knowledge to be a vital personal empowerment tool – plus his voracious appetite for reading and learning – he would have been a superlative educator and academic. And the list grows. Neil – if blessed with the right physical attributes – might have been a terrific rugby Springbok or even a major Olympian, because he had the heart and sporting talent. In another realm, he would have made a consummate theological leader. If he’d entered the space of enterprise boardrooms, I believe he would have ignited a new age in merging brands, consumerism and social responsibility investment. In fact, so well-rounded was he as a young, growing man, mature beyond his years, that all of us who shared a number of classroom, dormitory and playing field years with him at high school held him in very high esteem. This is borne out by the fact that 40 years after we all finished high-school, we held a Class of 1970 re-union, at Kingswood College in Grahamstown in 2010, to pay special tribute to Neil. With a wide variety of career and life path options ahead, as a result of his evident skills and values, Neil chose medicine. But, not the oft-plyed route of lucrative private practice, for he would have done exceptionally well as he was diligent, caring and thorough. No, it was the old fashioned, vocational path of healing the sick from amongst the down-trodden and marginalized in our society that he chose to walk. This road then led him, in his early 20’s, to the wellness of workers and his helping the development of the trade union movement in South Africa. This major life influence that Neil unwittingly created is clearly evident in the fact that, in tribute to his tragic death after 70 days of inhuman detention and interrogation by the apartheid state’s security cabal, trade union members around South Africa – again, against hugely hostile state oppression – downed tools for 30 minutes in their multitude of workplaces. One hundred thousand workers across a land, wracked by civil unrest with police and army at the ready, went silent and prayed and sang. A few days later, at his funeral, the cortege to the Westside cemetery was accompanied by well over 10 000 mourners, drawn from struggle activists and the oppressed of the surrounding communities, singing the haunting melodies of tragedy and the uplifting songs of freedom ahead. Johannesburg came to a complete standstill. Few national leaders anywhere – or international leaders – experience such commemorative tributes. Yet he was only 28 years old. 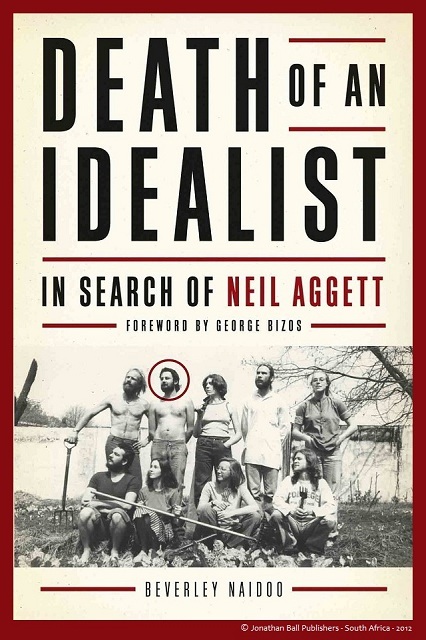 Neil Aggett was one of these rare individuals who has unwittingly helped shape the lives of so many of his fellow Africans, and beyond, but yet was forced to surrender his life, in an appalling tragedy, for the wider ideals he held more sacrosanct than life itself. When those who loved and cared for him sought real truth and remedy through a justice system at his inquest – the longest and most expensive ever in SA’s legal history – it was denied them by a brutal, corrupt and power-hungry government, supported largely by the community from which Neil grew up in, namely a privileged society, broadly comprising those of Judeo-Christian beliefs and loosely united by a skin colour, with mainly Eurocentric language heritage. One cannot escape this fact. Now, three decades later – after his tortured body was found hanging in a police detention cell on Friday, 05 February 1982 – he can finally be laid to rest, in quiet peace for eternity, safe in the knowledge that history will judge him fairly in the court of universal citizenry. None of this necessary, restorative justice would have been possible without the highly skilled pen, delicate sensitivity and insight of Beverley Naidoo, an award-winning authoress and South African struggle activist in the UK, whose utter diligence to seek out the honest truth – by way of gathering factual evidence and credible voices – brings some meaningful closure to a dark space in so many affected lives. Not only has it been a long journey for her to have this remarkable work finally published, by way of a massive labour of love involving the life of a cousin she never knew – plus her personal sacrifices, as well as those of her beloved Nandha, during many research years – but I’ve no doubt in my mind she’s been most richly rewarded by some inner catharsis from such a coal-face experience. So, I think it’s quite auspicious that this seminal work launches, in public, internationally, in Johannesburg, where he endeared himself to a great many of our fellow citizens and where he is buried, three days after his birthday. And his beloved sister, Jill, and her husband, Paul, will be there – having flown out from the UK especially for the event – as will Neil and Jill’s nephew, Stephen, one of their late brother’s (Michael) sons. And the mega-respected, former trade union leader, Jay Naidoo, will be the guest speaker in a room that promises to be filled with luminaries of South Africa’s road to democracy. Neil could have been anything he wanted to be. A great statesman. A fine physician. An empowering educator. An Olympic gold medalist. A corporate executive that changed how modern enterprise reshaped economic landscapes. He was richly blessed with gifts that most people aspire to. He changed lives and shaped opinion that will endure well beyond my generation and those that come after me. Most people have no idea whatsoever about the profound impact his life has made on ordinary people. Every day. Indirectly. I do, in a number of my own humble ways, and whilst it has sometimes consumed me over these past 30 years since his untimely death, and in the almost 50 years since I came to know him, the story here is not about Neil and I, but rather grasping the poignancy of Beverley Naidoo’s beautiful, sensitized and brutally honest introspection of Neil’s life, and thereby our own. For many years, I’ve strongly believed Neil’s story needed to be told. For so many layered reasons. It’s one of love and compassion, of courage and principle, of ordinariness and modesty, of integrity and soulful humanism, and state brutality and inhuman justice. It has a global reach. To peoples everywhere. It inspires the warrior for justice. It touches the soul of those who care little, and uplifts those who care enough to do more. Plus it resonates with the vast majority of us who believe in a more equitable, honest and empowering society of humankind. With painstaking research and masterful strokes on Neil’s canvas of life, Beverley has given him the rich justice he was so wrongly denied three decades ago and, by so doing, she will galvanize and inspire men and women, regionally, and all over the world, to share some of the oxygen that Neil ministered to the weary, down-trodden and marginalized amongst us all, with the underlying ethos of service above self. Just as the unfolding events as midnight struck on Thursday 04 February 1982 would have taxed Neil’s soul greatly, so too would much of this narrative’s search for truth evaded tomorrow’s historians, if it were not for brave folk – like these above – speaking out. Without a doubt, Neil’s canvas would have remained unfinished, and largely speculated upon, without Beverley’s superlative narrative and research. With her finely tuned heart and soul – plus the help of many – she has given Neil his life and personal dignity back through her poignant and probing work, against the harsh reality of our South African state having denied him this basic social justice 30 years ago in a failed court of law. I’m sad that Neil’s parents – Aubrey and Joy – and his brother, Michael, aren’t still alive today to share in the richness of this biography of Beverley’s, since they would have appreciated the exquisite, but ironic, twist in a global, restorative justice process, centred on the memory of their son and brother. Now may his dear soul rest in peace.